No Hats No Hoods Notice Aluminum Sign | 12" x 12"
Chalkboard Print Custom Sign - 6" x 6"
Bilingual No Firearms Aluminum Sign | 18" x 12"
Training Room Icon Acrylic Print Sign - 3" x 10"
Our Square Engraved Signs are crafted from top-quality acrylic plastic and come in a wide variety of different colors and sizes. Choose the mounting option that works for your method of hanging, which include cubicle pins and adhesive tape. 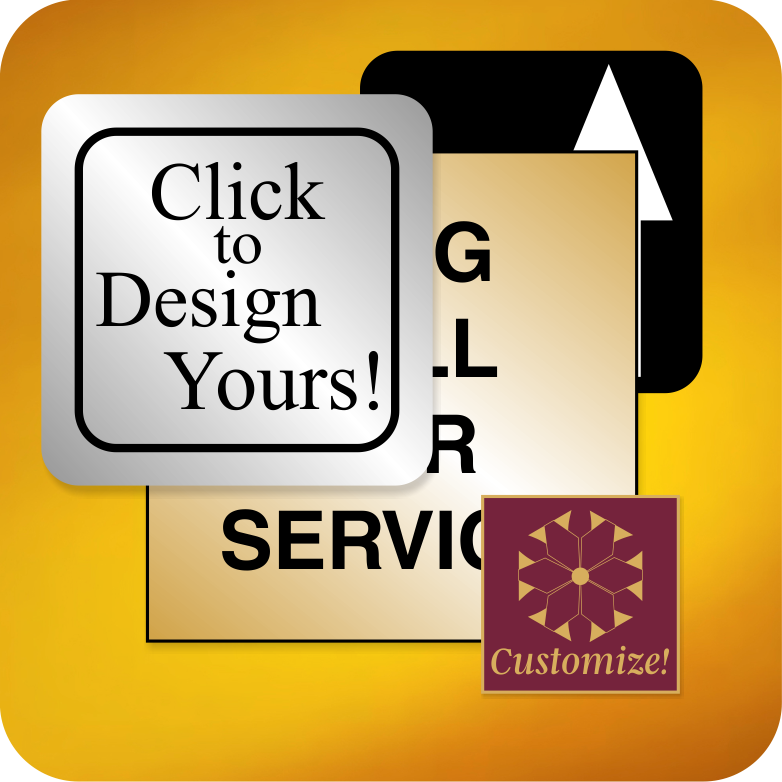 Our design makes it easy for your to construct a sign to your satisfaction.